By the time the Beatles had officially broken up in April 1970, Paul McCartney was one of the world’s most celebrated musicians, having achieved just about every benchmark in the music business as well as the notoriety that comes with being a cultural icon. With John Lennon he’d forged the most beloved (and lucrative) songwriting partnership in pop music history. With the band as a whole he’d crafted a catalog that was by and large regarded as creatively unrivaled. Such distinctions were ones which McCartney understood all too well when, while confronting the unenviable prospect of following up the Fab Four, he embarked upon the next phase of his musical life. As author and music journalist Tom Doyle chronicles in Man on the Run: Paul McCartney in the 1970s, McCartney’s next phase ended up being the most turbulent decade of his career. Well researched and partly informed by Doyle’s own interviews with his subject, the book adds sharper context to the familiar portrait presented by other such biographies of a preternaturally gifted, boyishly charismatic family man to reveal the McCartney of this era as being often oblivious to (or at least careless of) the ways in which the real world works outside the Beatles bubble. Matters that likely never crossed his mind as a member of the Beatles now as the leader of his next band, Wings, not only became necessary concerns—auditioning and hiring (and firing) musicians, compensating those musicians, replenishing the band’s requisite marijuana supply—but were also his responsibility. If he wasn’t quite longing to reunite with his old mates from Liverpool, McCartney nevertheless seems to have missed the sense of refuge they collectively conferred, from the implicit quality of musicianship in John, George, and Ringo, to producer’s George Martin’s almost paternal guidance, musical wisdom, and studio expertise. As far as the music McCartney composed in the ‘70s is concerned, pertinent circumstances of its creation are offered throughout the book. There isn’t too much in the way of session details (examining how songs evolved, critiquing specific takes, etc. ), with the emphasis instead focusing on how McCartney maneuvered through the various twists and turns of his life while making that music. Given a subject as well-documented as McCartney, it’s an effective narrative approach. 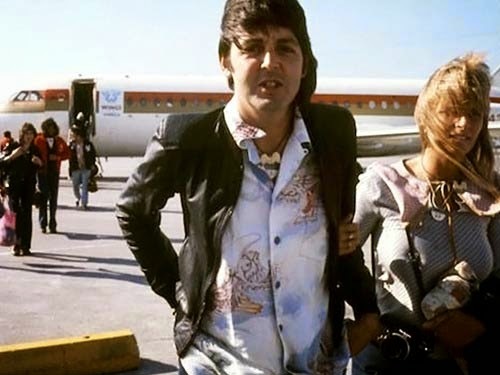 The depicted scene surrounding the recording of 1973’s Band on the Run, in particular, which found McCartney naïvely travelling not only with Wings (and former Moody Blues) mate Denny Laine and engineer Geoff Emerick but also with his own wife and children to Lagos, Nigeria—a scene of rampant crime, poverty, and political corruption—is especially gripping. 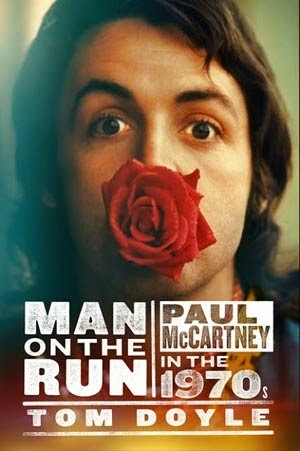 Man on the Run tells of McCartney the human being as much as McCartney the superstar musician, and readers will likewise appreciate its insights and enjoy the story it has to tell.